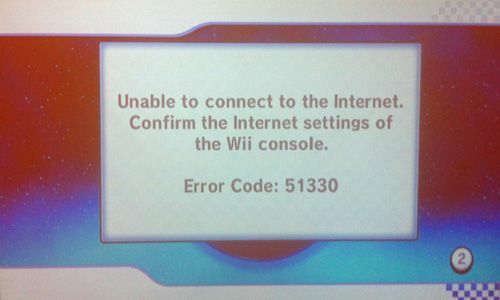 Wii Error Code 51330 is caused by a faulty configuration of your router. This causes the device to malfunction, which in turn means you won’t be able to connect to the internet. There could be multiple reasons for this to happen, but usually it’s down to the wireless security passcode for your home network being either changed or entered incorrectly (for example, you’ve switched from WEP to WPA without properly configuring the system). Another potential cause for the problem would be the firewall settings or MAC filter settings of your router. If that’s the case, your router itself is to blame as it blocks any kind of internet connection. How do you fix Wii Error Code 51330? 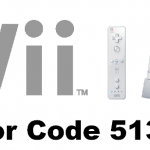 Since there are different causes for Wii Error Code 51330, there will also be different solutions you can try to fix the issue. We’ve listed a few of them below, but keep in mind you’ll probably have to try more than one in order to eventually find one that works for you! This might sound like a cliché, but the first thing you can try is unplugging the router and the modem. Leave them disconnected for a couple of minutes, then plug the modem back in, after you’ve allowed plenty of time for it to get started and reconfigured properly. Now start the router as well. Sometimes this simple solution is all it takes to solve the problem. In case you’ve made any encryption or security related changes to your router recently (like for instance WEP to WPA or WPA2 PSK), take another look and ensure the same modifications have been made in Wii console’s online settings. Another reason you might be getting this error is because you’re entering the wrong WEP or WPA key. Be extra careful and check to see if you’re entering the correct security key! Check your router for MAC filtering, and if it is enabled, put your computer’s MAC address in the ‘allowed’ list. Another thing you could do is simply disable AMC filtering altogether. Go to Wii settings and try to set IP address and DNS manually. In some cases this doesn’t get configured properly if you let the system do it automatically. After doing this, unplug your router and then restart it to see if the problem sorted itself out. Wii Error Code 51330 can sometimes be caused by your firewall blocking your internet connection. Go to your firewall program and disable it and then see if you have gained access to the web. Set a default IP address (this will work if your IP address is changed by your internet service provider). Go to your router’s settings and try changing its broadcast channel to either 1 or 11. Also, try to change the browser mode from G to Mixed. Another thing you should do is updating firmware on your wireless router to the most recent version available. Have any of these tips been helpful in trying to fix Wii Error Code 51330? Share your experience in the comments, as well as other solution you’ve had success with!